Good news again: Tracks4Africa is sponsoring us with a full set of their maps! 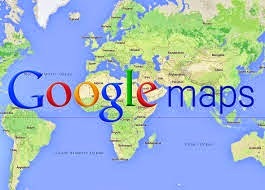 In return we will collect data during our trip in West Africa, which they can use to improve the maps. "Tracks4Africa creates GPS and paper maps for overland travellers in Africa. Their GPS maps will navigate you from Cape to Cairo and everywhere in between. All data is collected from a community of travellers and constantly updated to keep the maps relevant and accurate. The Tracks4Africa website offers free travel information on places that are featured on the maps including photos uploaded by fellow travellers". Thanks to Erin Meyer for the support and we look forward to our cooperation! Wat hebben jullie al veel geregeld en wat tof dat bedrijven/leveranciers jullie willen sponsoren! Moet je daar echt voor 'onderhandelen' of is het gebruikelijk dat men dat doet voor dappere reizigers?! Hihi, nee dat is niet echt gebruikelijk, dus er gaat veel tijd en energie inzitten om het toch te regelen. We zijn met alles en iedereen blij die ons will supporten!